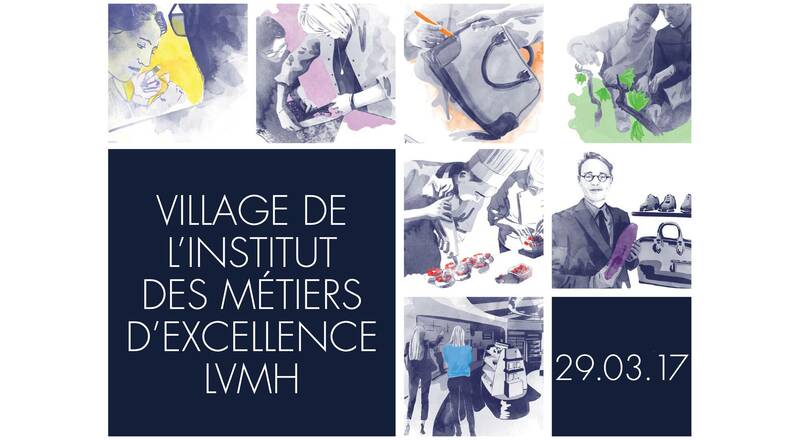 On March 29 the city of Clichy-sous-Bois, just north of Paris, will welcome the LVMH Institut des Métiers d’Excellence (IME) Village, a vocational fair that invites young people to discover the work/study training programs offered by the IME. Several schools and LVMH Houses are participating to present professions in jewelry, leather goods, retail and the culinary arts. The LVMH Institut des Métiers d’Excellence Village engages with future apprentices, inviting them to discover exceptional professions and skills along with the educational programs offered by partner schools. This year’s edition of the IME Village will welcome both students and the general public on March 29 at the Espace 93 in Clichy-sous-Bois. This innovative event is being organized in partnership with the cities of Clichy-sous-Bois and Montfermeil and reflects the IME’s commitment to promoting equal opportunity. It enables young people and adults to discover work/training programs in métiers such as jewelry, couture, leather goods, winemaking and oenology, the culinary arts, retail design and sales. Following the success of the first edition, the IME is this year inviting six partner schools to the Village: Avize Viti Campus (winegrowing and oenology), BJO Formation Bijouterie Joaillerie (jewelry), Ecole de la Chambre Syndicale de la Couture Française, EMASUP (fashion and beauty retailing), trade apprenticeship organizations Les Compagnons du Devoir and Les Compagnons du Tour de France, and the Ecole Ferrandi culinary arts school. Visitors will have a chance to meet with representatives from the schools, as well as Human Resources managers from LVMH Houses. Several public sector partners will also be part of the village, including the Pôle Emploi employment office, Defi, Mission Locale d’Insertion (MLI) and Point Information Jeunesse (PIJ).